In contrast to all the family groups we’ve hosted lately, this last week has been a super mellow affair. Pat Bouchard from Tassie, and Rob Eschbach from California basically had the lodge – and multiple lineups – all to themselves! 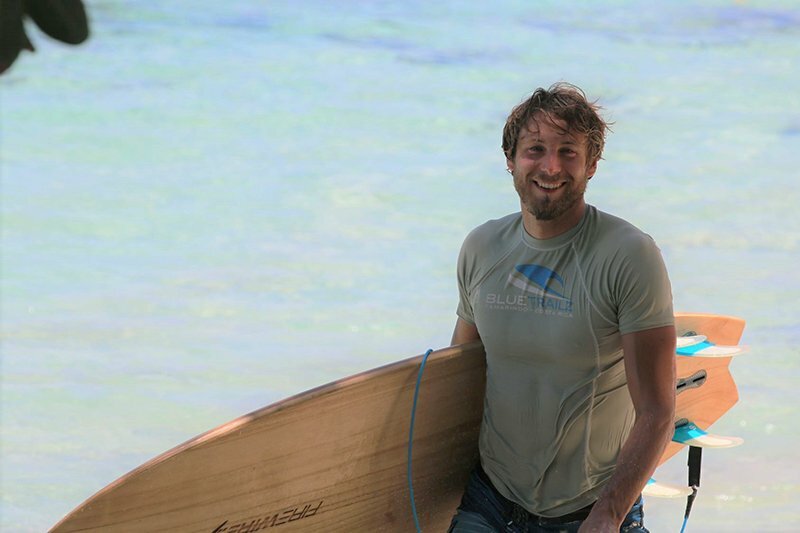 Rob’s an engineer in California who’s into his outdoor/adventure activities: skydiving, rock climbing, paragliding and – of course – surfing. 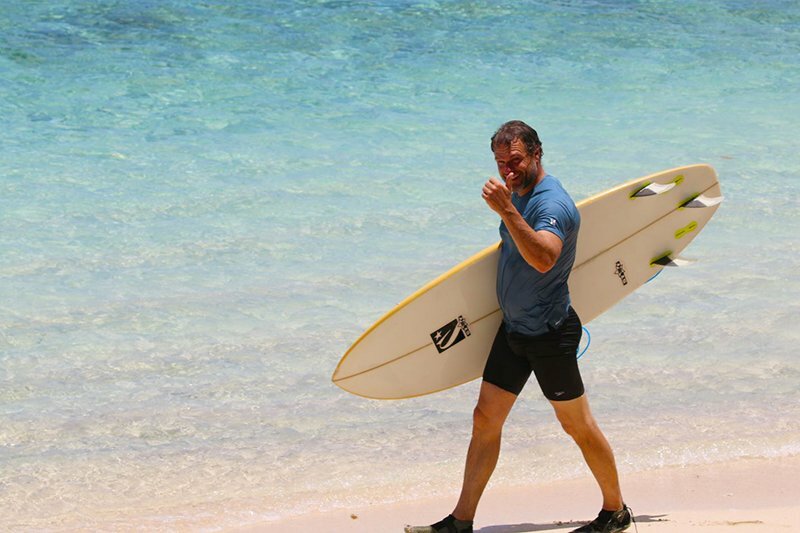 Rob’s week was all about pushing his personal limits out in the water, and on one particularly solid day out the front, caught the biggest wave of his life to cheers from the beach. Surfwise, the week opened up with small, clean conditions out the front. A build in swell opened up Middles and Pastor Point (Which Pat loved), and then a solid pulse by the end of the week saw Aganoa Right flex its not-inconsiderable muscle. 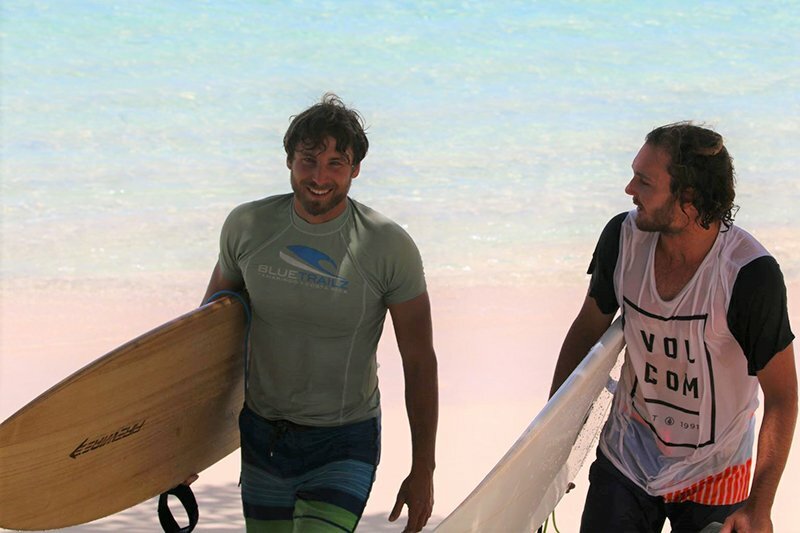 The lads were keen to see and learn as much about Samoan culture as possible, and our local legend guide Lee obliged as he always does: taking the boys on trips that combined the search for surf with seeing all this amazing island has to offer. 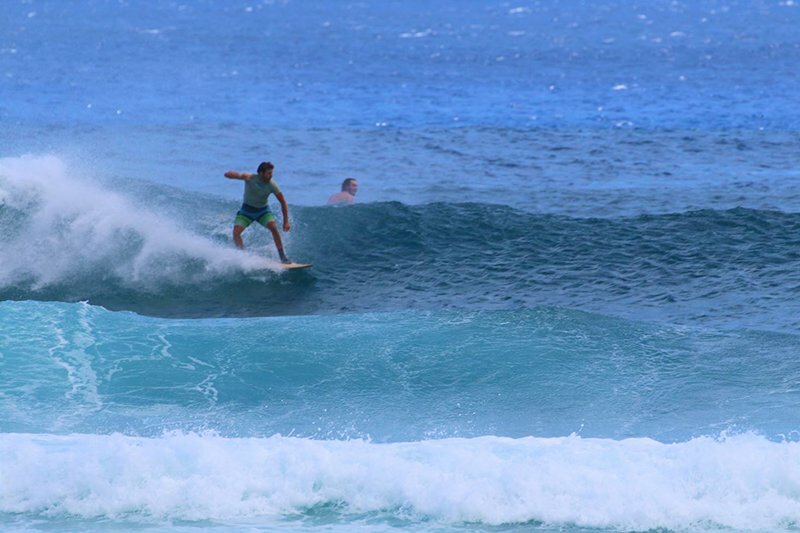 It may have been a quiet week here at Aganoa, but with a lot of waves and a lot of exploring, it was a good one.